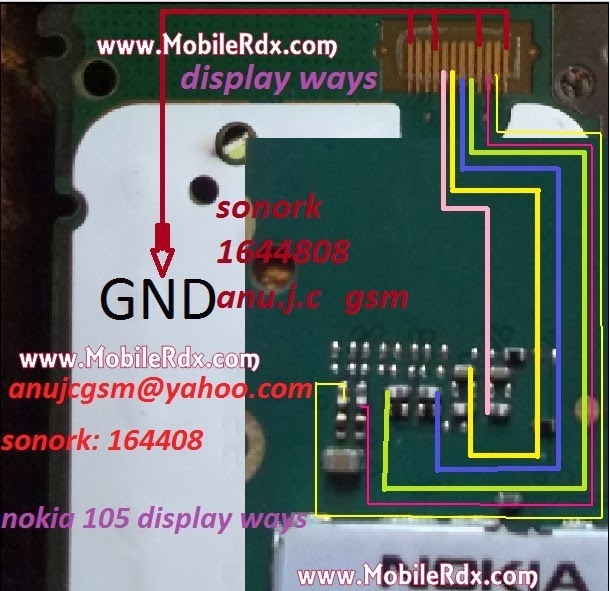 This Solution May Help You To Repair White Display Blank Display Set Dead Problem In Nokia 105 And Also U Will Find Power Button Ways And Jumper Information In Following Post. After Disassambly Of Asha 105 Look At The Motherboard For Rust Carbon Or Burren Parts. If You Found Some Rust Or Carbon Apply Electronics Cleaner On The Mother Board And Apply Hot Air To Make It Dry Proper. If Any Print Out Of These Is Missing Apply Jumpers To Solve On Off Button Problem In Nokia 105 .